The UN Development Goals recognized the important role of non-formal and informal education in providing inclusive, affordable and quality education for hundreds of millions of people. Learning that takes place in non-formal and informal settings is often more accessible, easily-contextualized (i.e., language, culture, measurement) and provides a shorter path for secure livelihoods, greater economic opportunity and participation in civil society. The Commonwealth of Learning / WikiEducator.org project was developed and funded by the William and Flora Hewlett Foundation to address this education challenge at scale - with the largest wiki skills / open education development project to date (as of 2009). The work was provided in several phases: a Stakeholder Engagement Strategy / Community Needs Analysis; Project Management & Coordination including learning program redesign; facilitation and coaching; a communications / marketing toolkit (with strategically messaging); and the recruitment of influencers, opinion leaders and strategic partners as Ambassadors. As participants were required to learn new ICT / technology skills (i.e., use a wiki to develop open education materials), an innovative OD / action learning intervention (using Gladwell’s Tipping Points) was developed to address fear and resistance to change. Learning4Content courses, bootcamps and learning activities were redesigned to focus on learner engagement, motivation and retention; a Skills Development and Apprenticeship Certification Framework (open badges, community recognition) was developed and included online peer mentoring and on-demand coaching. Communications focused internally + externally to recognize and reward individual effort and community participation as well as recruit and strengthen strategic partnerships. Numerous successful education projects grew by leveraging Randy Fisher’s work and the WikiEducator’s rapid development publishing platform that reduced production time by 75%. Examples include the: (1) Community Media Community of Practice in Asia, Africa, the Caribbean; and (2) LearnShare HIV/AIDS Portal with partners such as UNESCO, International AIDS Society and local community radio stations in Kenya, Ghana, Tanzania and south Africa. 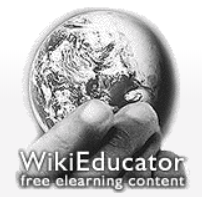 WikiEducator is also home to the Open Education Resources Foundation and the OERu.